Cliff Bleszinski is one of my favourite developers, and you can’t really blame me. The man was the genius behind Gears of War, a franchise still considered one of the best shooters around. It’s been ages since he left Epic Games and ventured out on his own, and we’ve had little to go on regarding his new shooter, Project Bluestreak. PAX East didn’t exactly clear everything up, but at least now we have an idea of what’s cooking at Boss Key. 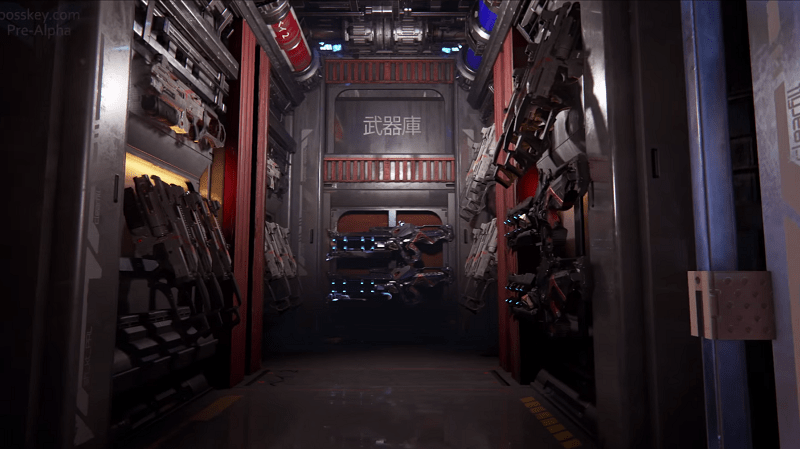 Bleszinski spoke about his upcoming free-to-play shooter at a panel during the event, but also took the chance to show off some in-engine footage for the very first time. It did little to flesh out what gameplay would be like, but at the very least we have an idea for the setting. And slap me silly if it doesn’t at least look interesting. You’ve got two cultures ramming head first into each other there. The Japanese styled architecture with glimpses of samurai armour and traditional pink blossoms give the entire thing a distinct Oriental feeling, while the cold, brushed steel and locker full of futuristic weaponry remind you that this is somewhere in the future. Or, at the very least, in an entirely alternate dimension of time. Samurais and guns also seem to be a perfect match in my mind. The game also looks drop dead gorgeous at the moment, thanks to the raw power of the Unreal Engine 4. Bleszinski has worked with Unreal for years now, so it seemed like a perfectly logical fit. Although I’m not too sure they’ll be happy if Bluestreak ends up being the Unreal Tournament competitor the world has never really needed, but one I don’t think anyone would turn their nose up at. But for now that’s it. There’s nothing else to go on regarding Bluestreak, so here’s to hoping that this first look isn’t accompanied by a long new drought. It certainly piqued my interest. Previous article Hey FPB, keep your hands off our internet! Next article Watch the full first episode of POWERS here for free!